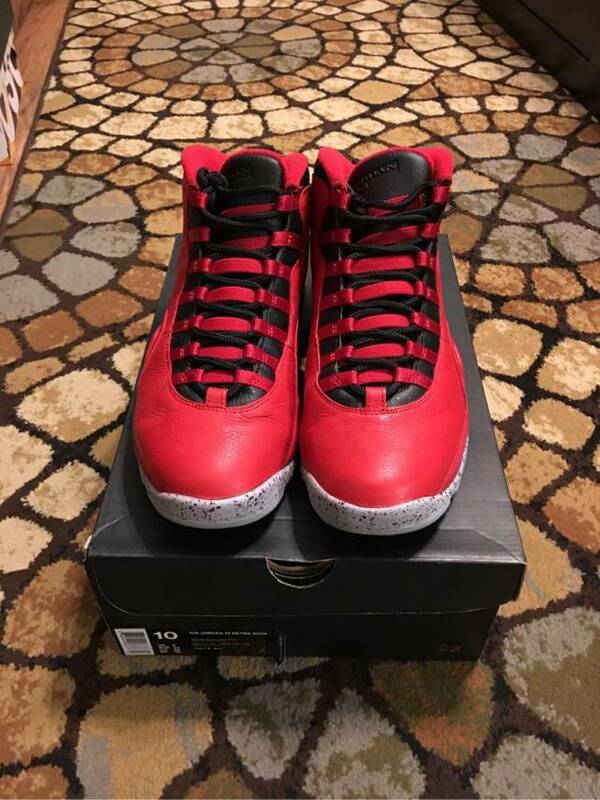 RETRO JORDAN 10 "BULLS OVER BROADWAY"/"ALL STAR GAME NY"
THESE ARE VNDS IN BOX, WORN A COUPLE OF TIMES, WELL TAKEN CARE OF AND SOLD OUT EVERYWHERE. PLEASE JUDGE THE PICTURES. 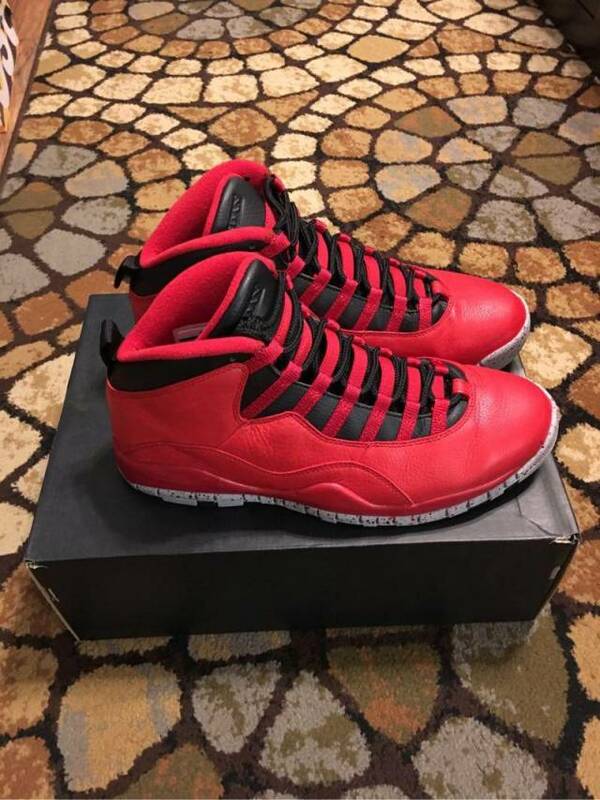 RETRO JORDAN 10 "BULLS OVER BROADWAY/ALL STAR" EDITION IN MENS SIZE 10. 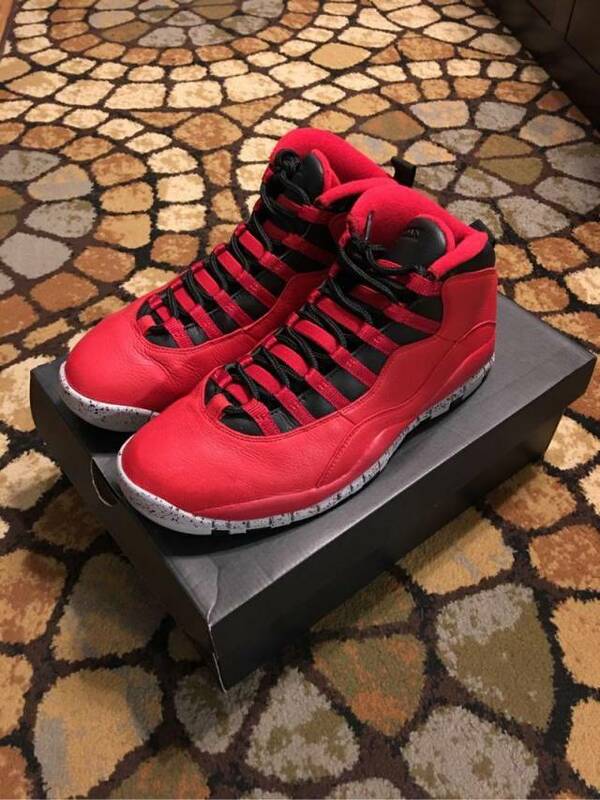 I AM A VERIFIED SELLER HERE ON KIXIFY, PLEASE KNOW YOU CAN PURCHASE WITH CONFIDENCE. SHIPS OUT DOUBLE BOXED WITH ORIGINAL BOX RIGHT TO YOUR DOORSTEP USING USPS PRIORITY-MAIL 1-3 BUSINESS DAYS INSURED WITH SIGNATURE TRACKING. 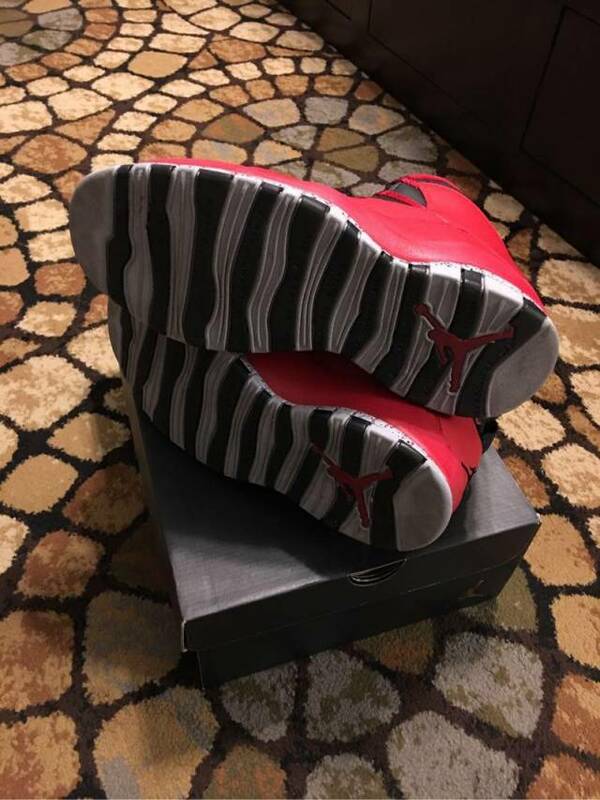 BE SURE TO CHECKOUT ALL MY FEEDBACK, PAST CUSTOMERS HAVE HAD NOTHING BUT GREAT THINGS TO SAY. MESSAGE ME BEFORE MAKING PURCHASE. I WILL ANSWER ANY QUESTION YOU SHOULD HAVE. Will ship as soon as full payment is made. Usually double box. 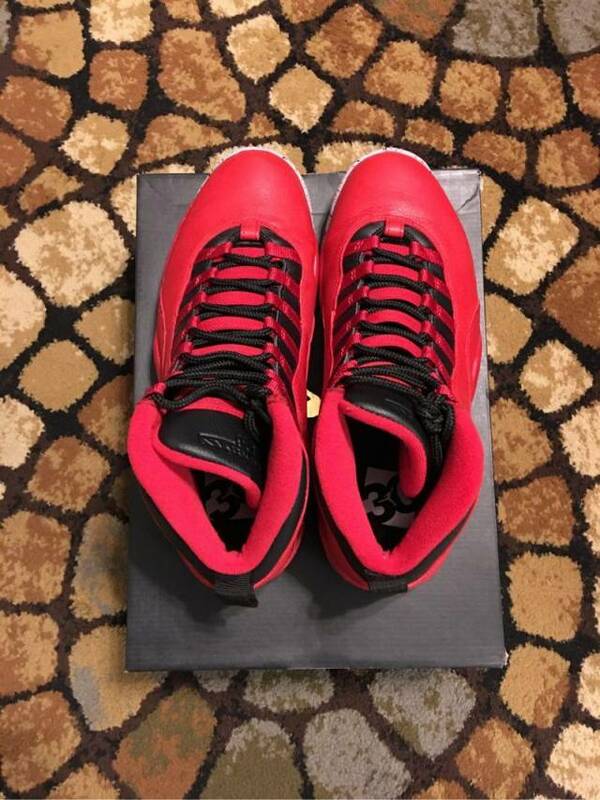 If I am unable, the sneakers will be wraped with shipping paper. UPS Ground, USPS Priority mail. 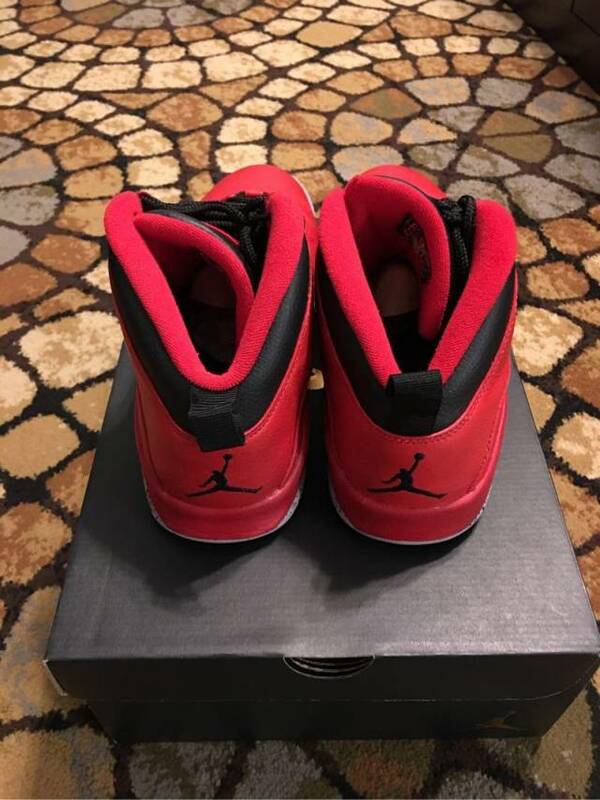 If the shoe becomes unavailable, a full refund will be made.